Cover photograph shows serpentinite muds that have experienced a range of oxidation-reduction conditions and striking color variations (Sections 366-U1492A-1H-1 through 1H-4). This core was recovered from the summit of Yinazao Seamount. Photo credit: Geoff Wheat and IODP JRSO. Except where otherwise noted, this work is licensed under a Creative Commons Attribution License (http://creativecommons.org/licenses/by/4.0/deed.en_US). Unrestricted use, distribution, and reproduction are permitted, provided the original author and source are credited. Examples of how to cite this volume or part of this volume are available at http://publications.iodp.org/proceedings/366/366title.html#bib. Supplementary material for the Volume 366 expedition reports includes a list of intervals removed from whole-round sections and DESClogik workbooks in Microsoft Excel format. A full list of directories can be found in SUPP_MAT in the volume zip folder or on the Supplementary material for Volume 366 expedition reports web page. The scientific ocean drilling community lost a generous, thoughtful friend on 5 May 2017 when Mike Storms lost a battle from complications arising from myelodysplastic syndrome. 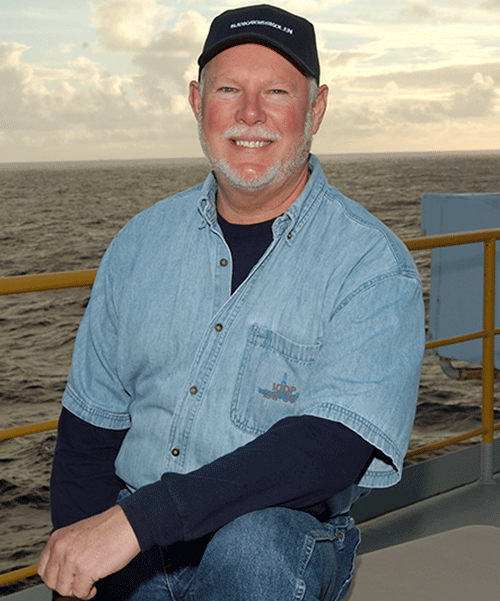 Mike sailed on 48 scientific drilling expeditions (9 Deep Sea Drilling Project legs, 26 Ocean Drilling Program legs, 9 Integrated Ocean Drilling Program expeditions, and 4 International Ocean Discovery Program expeditions), spanning 47 years of service. He began his career working for the scientific community as a marine technician (an engineering aide) at the Deep Sea Drilling Project in 1970 and rose to the position of Supervisor of Operations Support at the International Ocean Discovery Program. Mike’s last expedition, serving as Operations Superintendent, was Expedition 366, Mariana Convergent Margin and South Chamorro Seamount, which ended in Hong Kong on 7 February 2017. For 2 months we had the pleasure to live and work with Mike. We enjoyed listening to stories of Mike’s new life in Washington at his favorite table in the galley or watching and cheering one of the many college and professional football teams during the bowl season, joking about the daily revision in the operational plan, and relaxing on the sofa while engaging in discussion of the latest political mess. Expedition 366 was a challenging expedition for all, with many complications that required multiple late-night/early-morning wake up calls. Mike would lament about the hours he spent in bed watching RigWatch, wondering what was going to happen (crater?) next. Through it all he helped guide us, providing clear plans and options without which we would have been truly lost. His patient, professional advice and guidance allowed us to succeed, despite the challenges of the drilling operations, leaving three new legacy boreholes that will be used by the international community for decades to come. Mike was like family, more than a shipmate. He helped us ring in a new year and a new chapter in the discovery of the world’s deepest subduction zone. He will be missed. 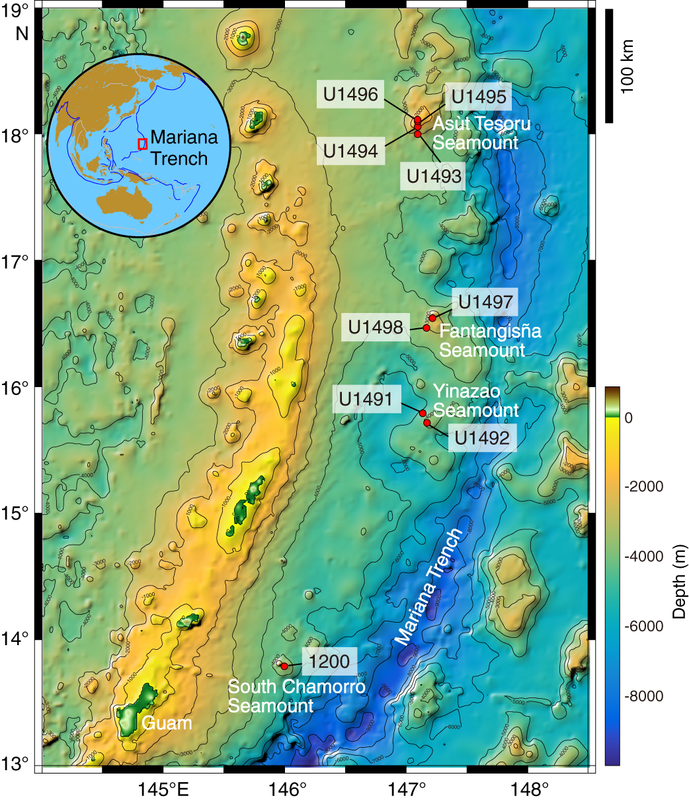 This research used samples and data provided by the International Ocean Discovery Program (IODP). We thank all of the personnel aboard the R/V JOIDES Resolution during Expedition 366 for their skill and dedication. Particular thanks go to the Technical Support staff for the quality and timeliness of their work. We greatly appreciate the qualified advice from the entire drilling crew and their efforts to core the very challenging serpentinite mudflows and to emplace casing in three sites for seafloor observatory use. The success of the expedition was also enabled by the help of the Environmental Protection and Safety Panel, which allowed us to readjust our drilling strategies even during the expedition. We thank Drs. Adrian Oakley, Brian Taylor, Gregory Moore, and Andrew Goodliffe for the acquisition and interpretation of multichannel seismic data provided for preparation for this expedition. 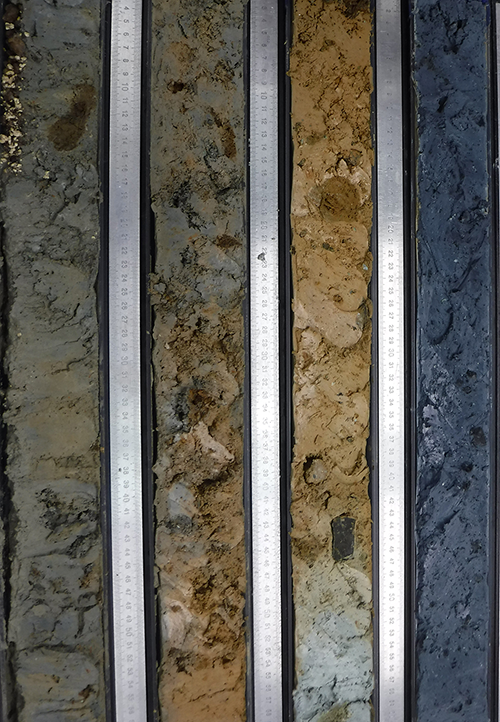 The editorial staff at the IODP JOIDES Resolution Science Operator at Texas A&M University is thanked for support with publication of this document. We thank Emilia Salgueiro, Marine Geology and Georesources, Instituto Português do Mar e da Atmosfera, Portugal, and José-Abel Flores, University of Salamanca, Spain, for description of fossils in Section 366-U1491C-2H-CC, 1–7 cm.